Does anyone remember those officially licensed Mega Man "scent blasters" from Epic Scents? Of course you do! 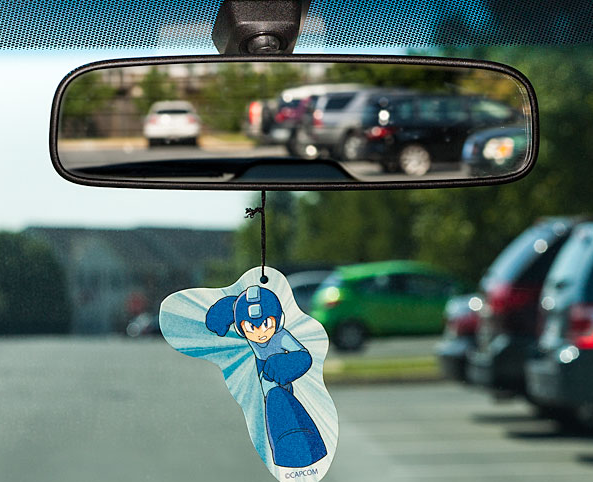 Mid-October is upon us, and that means Mega Man’s “Cool Rush” and Proto Man’s “Apple Cinnamon” air fresheners are hitting Think Geek right now. At $2.99 a pop, these little trinkets are perfect for the rear view mirror or just wherever. Ditch those pine trees and smell fresh. Mega fresh! For some reason now I want a air freshener... even through I don't have a car and got no driver license!